The Junior Traditional Ensemble of Traditional Instruments is one of several ensembles at ANIM aimed at reviving and perpetuating the indigenous instruments of Afghanistan along with its long-established folk-traditions. This ensemble is made up of young men aged from twelve to fifteen, playing stringed, percussion and keyboard instruments. At the melodic forefront of the ensemble are two rubabs, a plucked lute-like instrument that is the national instrument of Afghanistan. Joining the rubabs are two more stringed instruments: the plucked tanbur and the bowed ghichak. The harmonium provides harmonic accompaniment, though it occasionally takes the lead melody. On percussion there is the tabla, an instrument popular in the Indian and Persian traditions, and the zerbaghali, a uniquely Afghan instrument. 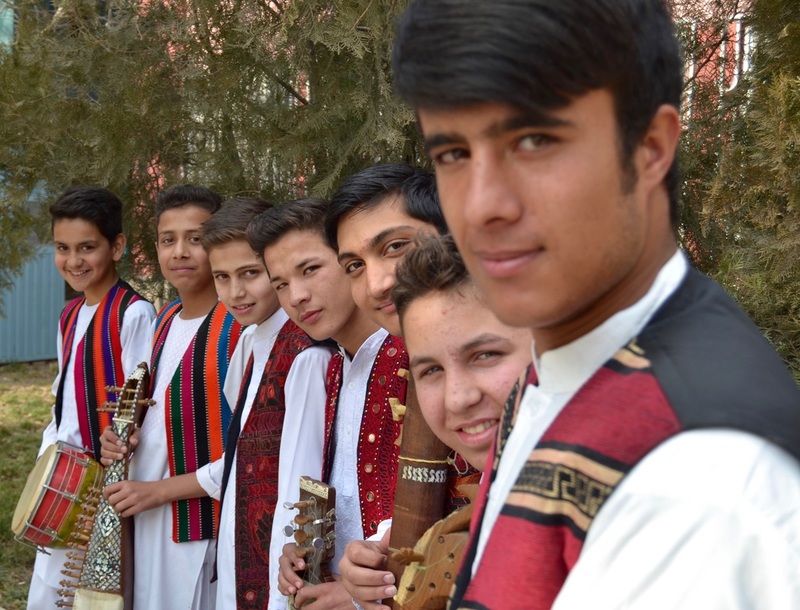 These young men have performed together at venues across Afghanistan, and are helping firmly re- establish a long musical tradition that was almost obliterated in the 1990s.